Halloween is the holiday that rolls around once a year, but have you ever wondered where the day comes from? The origins of Halloween might not be as spooky as you once believed. We have to head 2,000 years into the past and to the Celts in Ireland to learn the true origins of Halloween. Their New Year was held on November 1, but it was the day before that gave the spirits a chance to return to Earth. These souls would destroy their crops leading the Celts to create bonfires and give offerings as a way to keep them at bay. To top it off, they would often dress up in costumes made from animal parts as they attempted to predict the future. It wasn’t until 43 CE that the Romans had conquered the majority of the Celtic empire. This brought many new holidays that were soon combined with the ones already in place. As well as incorporating the Celts’ beliefs, the Romans also had two holidays of their own. The first was a chance to honor the goddess of fruit and trees, Pomona, and is thought to be how apple bobbing became a part of the modern holiday. The second was a holiday the Romans used to honor those that had passed. In 1000 CE, the Christian church put their own spin on Halloween. They moved the date to November 2 and used many of the ancient Celtic rituals, including large bonfires and dressing up as angels and devils. Plus, the church remained the day All Souls’ Day. However, it was All Saints’ Day on November 1 that became more and more popular. The holiday was soon referred to as All-Hallows Eve before eventually gaining the name we now know and love: Halloween. It was the European movement to America that saw the holiday travel across the ocean. Halloween started as a way to share stories of those that had passed away, as well as singing, dancing, and telling fortunes. There were also many neighborhood plays that took place, but it was yet to take the nation by storm. It wasn’t until the Irish potato famine forced many immigrants across the country that Halloween began to take the rest of the States by storm. So when did Halloween become less religious and more about the spooky side of things? That would be at the turn of the 19th century when newspapers wanted people to focus less on the ghost stories and more on getting together with neighbors. People began to dress up in fun costumes and head to parties. Plus, people would trick or treat through the neighborhood as people hoped to get food in return for knocking on their neighbor’s doors. It wasn’t long before the food turned into offerings of candy instead. 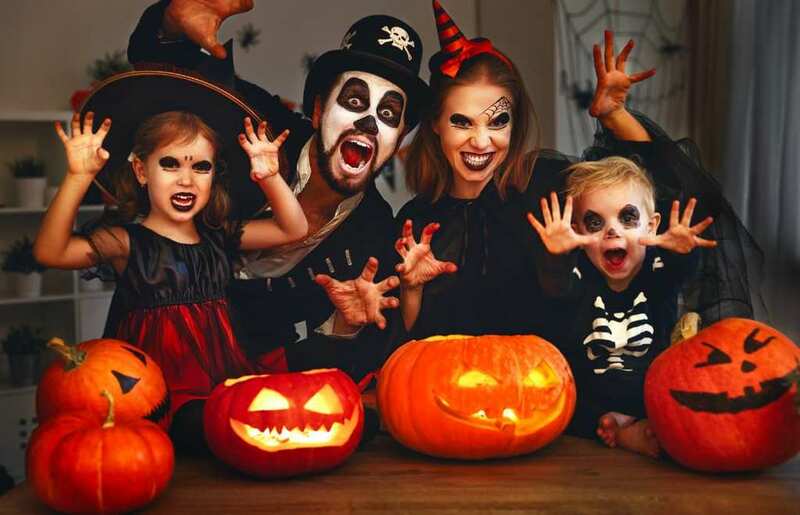 Although the holiday is something that many of us celebrate every year, it seems as though the origins of Halloween have come a long way in the last 2,000 years.